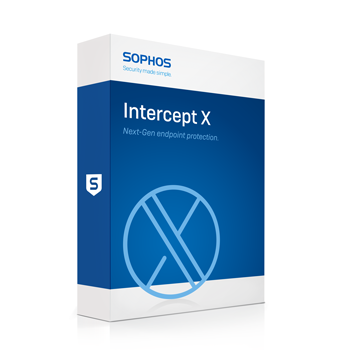 Details of features included in Intercept X. Intercept X Advanced also includes features from Sophos Central Endpoint Protection. Full Endpoint Agent and Sophos for Virtual Environments light agent cannot be deployed on the same computer. Endpoint Agent: (Windows/macOS) Anti-malware, Live Protection, Web Security, Web Control, Malware Removal, Peripheral Control, Application Control, Synchronized Security Heartbeat (Windows only) Behaviour Analysis/HIPS, Data Loss Prevention, Download Reputation, Malicious Traffic Detection, Exploit Prevention, Cryptoguard Anti-Ransomware, Sophos Clean, Root Cause Analysis. * Security Heartbeat functionality is available when Endpoint Advanced is used in conjunction with one of the following Sophos Firewall subscriptions - Network Protection, FullGuard or EnterpriseGuard.